Luz Ardiden resort opening date will soon be available. 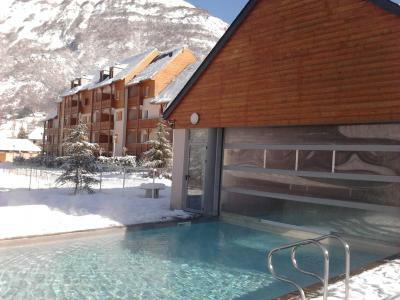 Luz-Ardiden is a new, active, sport and colorful resort situated at an altitude of 1680m in the high part of the Pyrénées. It caters for all ages and offers a wide range of gliding activities... It overlooks the authentic, picturesque and pleasant village of Luz-Saint-Sauveur (at an altitude of 680m). Activities available in Luz-Ardiden, Pyrénées include 60km long skiing trails and the thermal spas of Luz St Sauveur, Luzéa. To help you get your stay to Luz Ardiden organized , book your accommodation , your skipasses and your ski equipment all together.